Mr. “P” was so patient. He waited over 2 months for HOA to approve this patio cover. 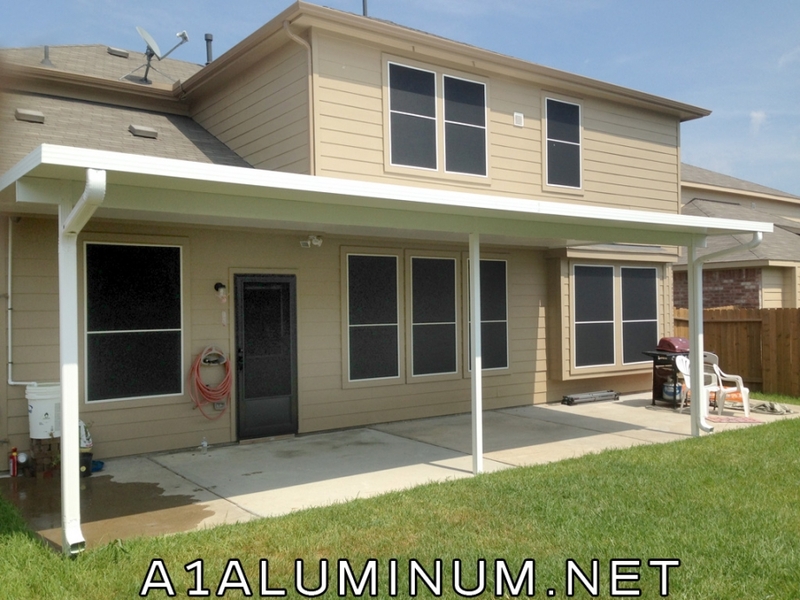 Just because you live in an HOA neighborhood doesn’t mean you can’t have a metal patio cover. It’s usually just a matter of applying and waiting on approval. Sometimes they will request that the patio cover be shingled and we can certainly do that. But the advantages of metal, aluminum or steel, are so great. Mostly maintenance free for life. No painting. Just a rinse with the water hose every now and then. No termites, no wood rot. They look great for years! 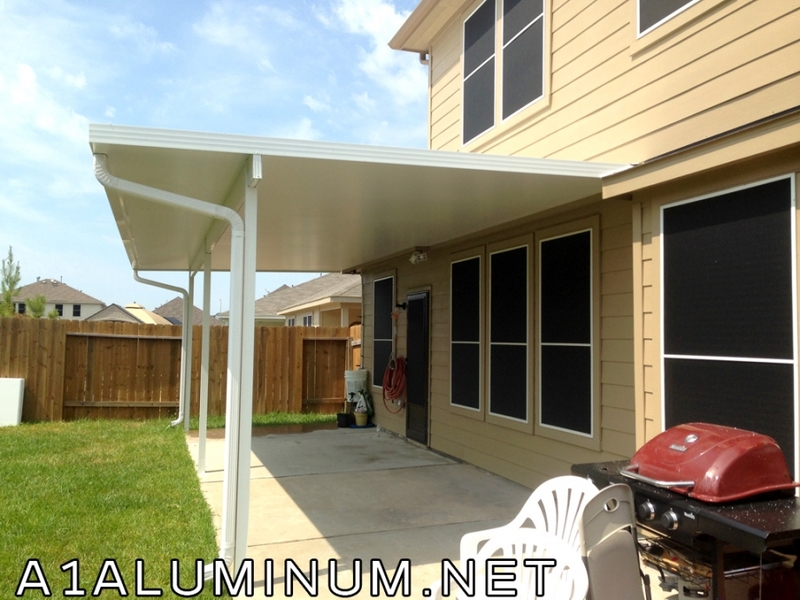 This customer wanted a patio cover with skylights for the U of a house. That tends to be very dark with only 1 side open. She wanted the non insulated flat pan but the metal vendors do not make the skylights for that pan anymore. So we custom made these ourselves. They let in a lot of light! She is so happy with the results. We pride ourselves on being able to come up with unique ways to get the customer what they want. If you have an unusual situation, call us. We might can help where others are stumped. © 2019 A-1|ProPhoto Blogsite by NetRivet, Inc.